“Kristy” hails from China were they throw the baby girls away. Whether or not the fact that he was a boy saved him, we do not know. Certain it is that they never realized in those days of his early youth the wonderful combination of ennobling elements that are manifest in his character today. They have found expression in his senior year in a variety of activities, including the office of Beltionian vice-president, senior council representative, fullback on the 1921 eleven, and editor-in-chief of The Record. “Art” expects to land in China eventually, where we predict he will again occupy an editor’s chair. Concerning Mr. Arthur E. Christopherson, who was a student of mine throughout his college course, I desire to write a word of commendation as bearing upon his worthiness to receive a fellowship. He is a sturdy character, vigorous in health and purpose…His habits are good, his ideals are Christian, his energies are superb, his self-enjoyment is ample, his record is good, so I commend him to your most favorable consideration. Of course, he was accepted. Residing in New York, Christy published Images in Jade, translations from classical and modern Chinese poetry. His courses at Columbia led in 1932 to a doctorate in comparative literature. His dissertation, entitled The Orient in American Transcendentalism: A Study of Emerson, Thoreau and Alcott, appeared in 1932 with The Transmigration of the Seven Brahmans. From 1935-36 he was a Guggenheim Fellow; and from 1930 to 1945 he taught at Columbia University Department of English and Comparative Literature, supervising master’s theses in American literature. In 1945 he was appointed professor of American Literature at the University of Illinois, Champaign-Urbana. When his missionary mother died in 1941, Christy composed an obituary published in The Alliance Weekly: “Her heart quietly ceased its functioning and she moved unobtrusively as in all her earthly life, to her heavenly resting place.” Five years later, recently returned from a conference on the participation of higher education in the United Nations Educational, Scientific and Cultural Organization at Estes Park, Colorado, Christy’s own heart “quietly ceased” as he crossed a street on his way from the University of Illinois campus to his home. Shortly thereafter, admitted to McKinley Hospital, he was pronounced dead at age 46 from an entirely unexpected heart attack. His death was an incalculable loss to the field of letters. He left a widow, Gertrude Noetzel (B.A. 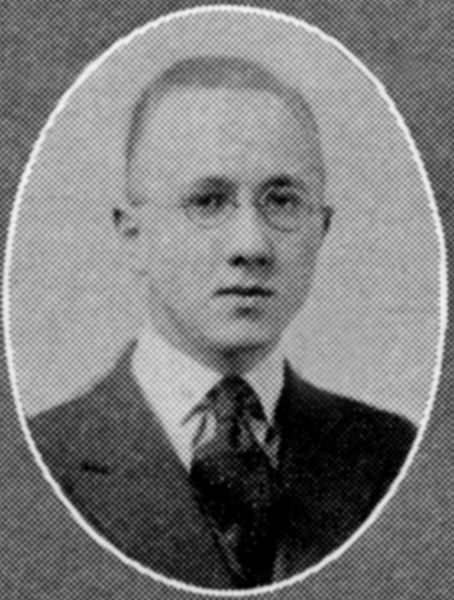 University of Wisconsin, 1920 and M.A. University of Illinois, 1947), and a son, Bruce, born in 1928 (B.A. University of Illinois, 1950).